Clare Parry explains what mechanical ventilation is and why we might want to use it as our homes become better sealed. 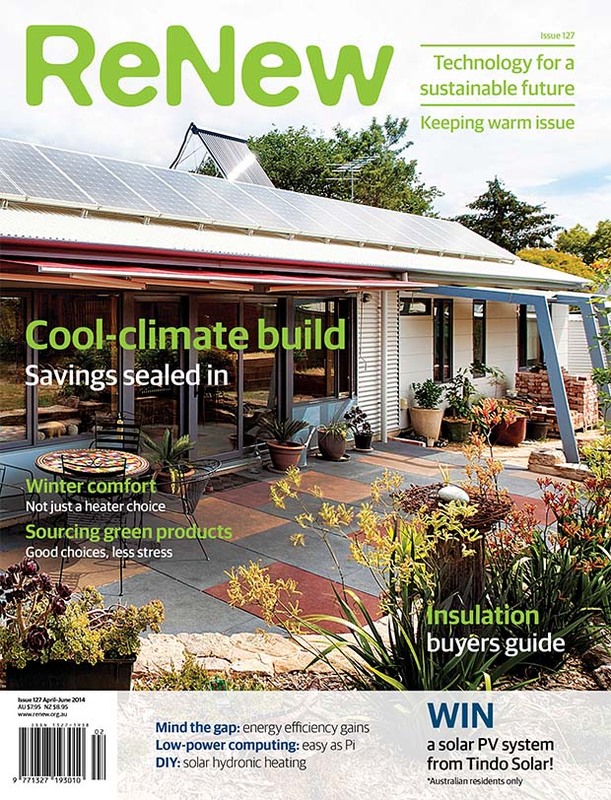 This article was first published in Issue 127 (April–June 2014) of Renew magazine. Mechanical ventilation is not something many Australians would be familiar with in their homes, but it is something many would have experienced in other types of buildings, such as offices and hospitals. 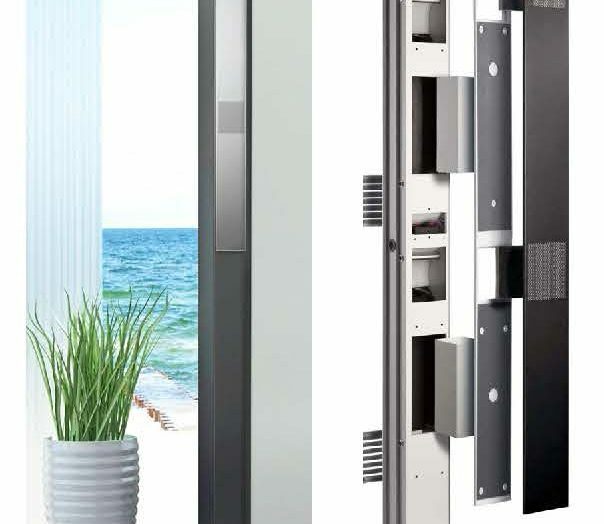 Mechanical systems are often regarded as unnecessary for dwellings, but, as our Star ratings encourage us towards better-sealed dwellings, these systems become important. Here I hope to outline the reasons why a truly comfortable and efficient home would include mechanical ventilation with heat recovery (MVHR, also called heat recovery ventilation, or HRV systems). In mechanical ventilation and heat recovery (MVHR) systems, heat is transferred between the air flows in and out to greatly reduce thermal flows while allowing high levels of ventilation. 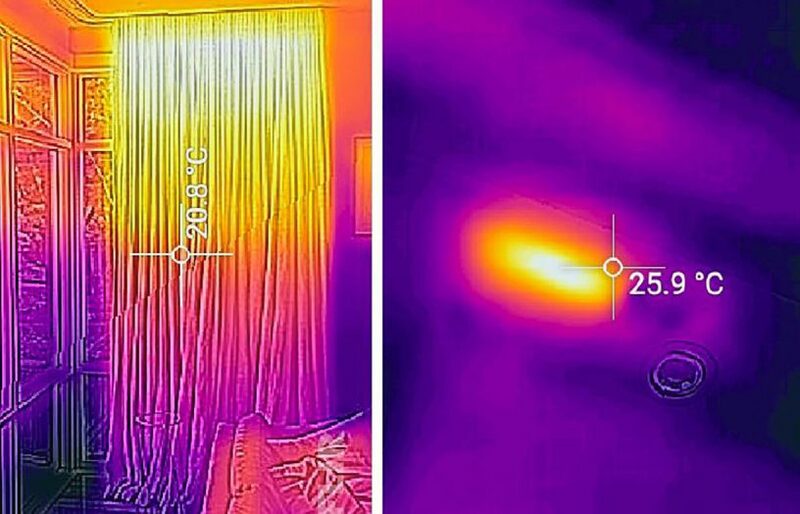 Air infiltration in homes can account for a significant component of the total heating and air conditioning loads in a building (around a third to a half), and this load can be particularly significant in low-energy buildings where all other loads have been reduced. At a time when housing sustainability is on many householders’ minds, the best way to increase energy efficiency is to take advantage of the basics of building physics by making improvements to the envelope. This involves using basic passive solar design principles in conjunction with insulation and building sealing. One of the great things about sealing up a building is that you gain control over your internal environment—you can open the place up when you want, but when ambient conditions are not suitable the home can be closed up and the internal conditions will be more stable. Ideally, a well-designed home in most parts of Australia would not require heating or cooling at all. However, sealing a building does mean you need to consider how the building is then ventilated. 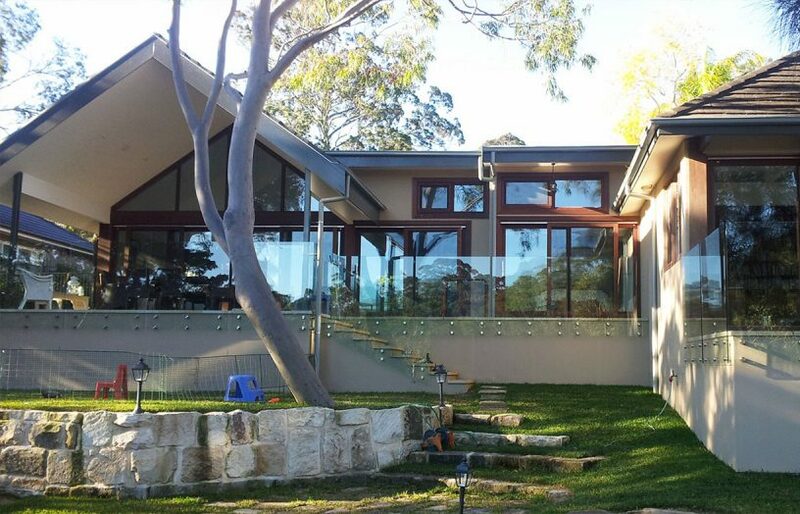 What we refer to as ’natural ventilation’, and what the majority of Australian homes rely on for fresh air, is a combination of open windows and imperfections in construction (gaps and holes). This method of ventilation is largely imperfect¹; good natural ventilation relies on natural variations in pressure and temperature, and the best designs use cross- flow and stack principles to induce air flow into and through a building. 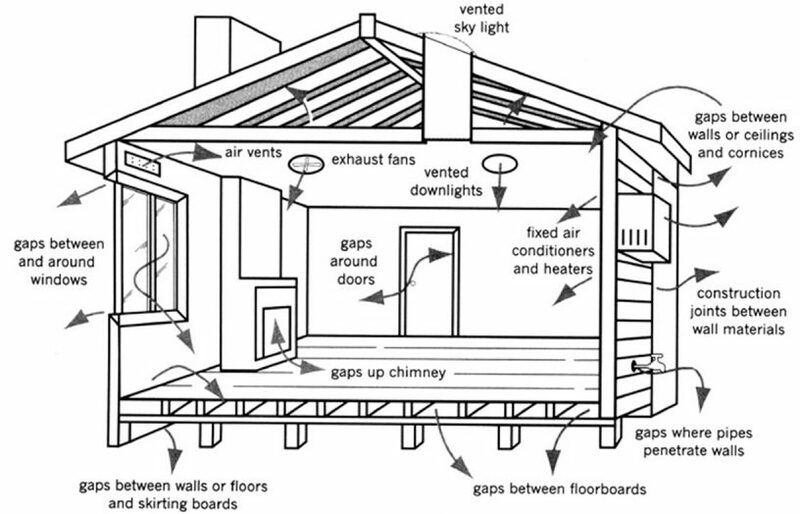 Relying on natural ventilation to provide adequate conditions for good health, as well as comfort, is likely to be insufficient in a well-sealed home. This is because the amount of air infiltration relies on a number of factors, including the time windows are open, openable area and prevailing weather conditions. Table 1 shows typical air changes per hour (a measure of air infiltration) without ventilation as building sealing improves. Mechanical ventilation provides a way to address this, using fans to move air into and/or around a building. A number of studies² have also shown that the use of MVHR can be more efficient, in terms of reduced energy use and the resultant carbon emissions, than relying on natural ventilation. As with any system, appropriate system selection and design is key. Table 1. 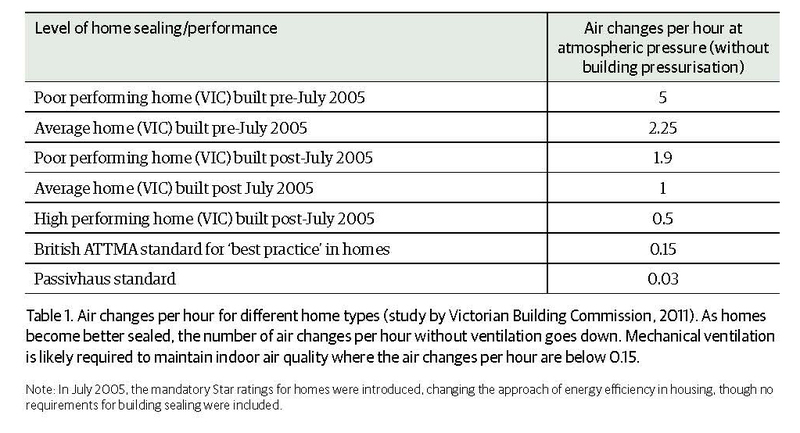 Air changes per hour for different homes (study by Victorian Building Commission, 2011). As homes become better sealed, the number of air changes per hour without ventilation goes down. Why is adequate ventilation so important? Adequate ventilation within a building ensures good air quality, by removing toxins and CO2, and also helps to control humidity, thus reducing the risk of condensation. Energy efficiency and thermal comfort can also be enhanced. Air quality can be affected by a number of impurities, such as low-level irritants (dust, pollen) right through to radon and volatile organic compounds. In humid or colder areas, and particularly in uninsulated buildings, there is also a significant potential for condensation when humidity levels are too high, and this can result in mould growth and various health issues. As one example, asthma rates in Australia are high by world trends ³,4 and homes with insufficient ventilation have been shown to have real and significant impacts on respiratory health5. Building fabric can also be affected by moisture and deteriorate, reducing the life of a building and adding to life-cycle costs. In addition, anecdotally, many people who’ve come to Australia from cold climates comment on how their homes in Australia are so cold when compared to those they experienced back home. remove indoor pollutants, including CO2 and VOCs from off-gassing of materials such as those used in furniture and finishes. Studies show that to ensure adequate ventilation by natural means, the windows in a reasonably well-sealed home would have to be opened at least four to six times a day for a reasonable amount of time (around 10 to 20 minutes, depending on the size of the home, openable window area, prevailing ambient conditions, etc)¹. One of the most important things to get right before introducing a MVHR system is your building sealing—for what is the point in controlling the ventilation and attempting heat recovery when your building leaks like a sieve anyway? It’s similar to turning on the heater while you have all the windows open— fighting the classic ‘losing battle’. In order to be successful, ultra-low energy buildings require a very good level of airtightness. Once a building is airtight, it then becomes necessary to introduce ventilation in order to make the building habitable. An example of an ultra-low energy standard is the Passivhaus standard, a standard based around energy and thermal comfort that has so far been applied in over 40,000 buildings worldwide. Passivhaus buildings are dependent on their MVHR systems to ensure good indoor air quality, and are characterised by year-round excellent indoor comfort and significant reductions in energy use. The application of the standard has been so successful that the EU is considering its adoption as the minimum residential building standard throughout Europe. Like everything, the adoption of ‘new’ technology comes with its pitfalls; however, we have the advantage here of using an approach that has been well and truly tested. MVHR systems can be quite simple, such as the Lunos e2 systems which are installed in pairs. 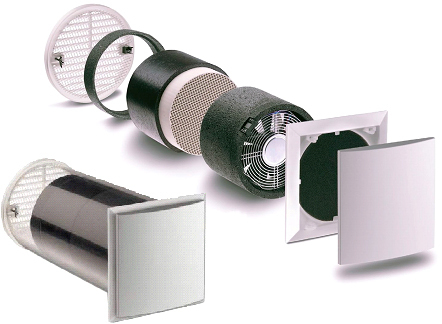 Outgoing air heats the integrated heat recovery ceramic core, which then heats the incoming air when the flow reverses–thus enacting the heat recovery. Image 2 shows the Lunos f-go slimline which can be fitted next to windows for a minimalist look. The simplest mechanical ventilation system uses exhaust fans only, with fixed inlets to provide makeup air. There is no heat exchange on this system, so incoming air is the same temperature as ambient. Exhaust points would likely be provided in areas such as bathrooms and kitchens. 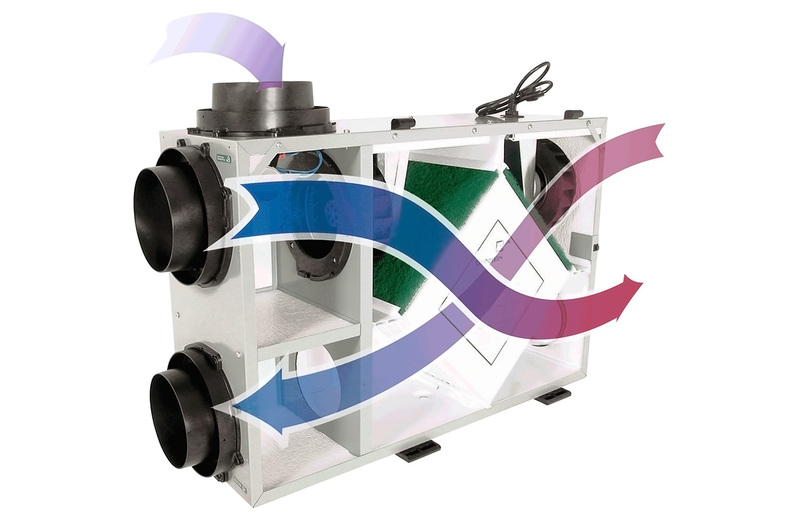 Another simple system is a two-way ventilator, which operates on a push-pull basis to generate a flow of supply and exhaust. Examples of this type of product include the Lunos e2 and f-go units and the Stiebel Eltron LA30WRG. These units are installed in pairs and, depending on the size of the dwelling, there may be a number of pairs, e.g. a two-bedroom apartment might require two pairs. These systems are simplified by their absence of ductwork—they are installed directly in a wall or window frame and simply wired into a central control panel. These ventilators operate alternately, with one unit exhausting and the other supplying air, then after 90 seconds they switch modes. Running continuously, they provide filtration and heat recovery. An integrated heat recovery sink, such as a ceramic core, is used to transfer heat between exhaust and supply air streams, and they are a terrific, simple version of more complex systems, suiting basic, compact layouts. At the other end of the scale, a fully-ducted ventilation system is the most effective solution, and utilises fully controlled and balanced ventilation. This type of system is most effective when applied in a well-sealed building, where other infiltration sources are reduced (note: this does not preclude openable windows!) These systems supply fresh, filtered air to the living areas of the building(bedrooms. lounge), where it then flows through to exhaust areas (e.g. kitchen, bathrooms), thereby removing hot or humid air. The air volume supplied is balanced with the exhaust. The most efficient way to operate such a system is to include heat exchange, whereby thermal energy is transferred between the outgoing and incoming air streams, keeping the internal conditions stable and retaining that energy where we have fought to keep it—inside! Bypass arrangements are possible on these heat exchangers, to take advantage of times when outdoor conditions are good enough for direct air supply. Heating and/or cooling coils can be added to the more complex MVHR systems, and radiant or refrigerant systems (split systems or radiant panels) can be located internally to provide any additional heating or cooling requirements. Highly efficient homes, such as those built to the Passivhaus standard, will be among the first to use these types of system in conjunction with an excellent building fabric. Like everything, it’s about selecting the system that’s right for the application. There is reduced benefit from installing a heat recovery system if the issue of building sealing first hasn’t been addressed, as uncontrolled air infiltration will negate the effectiveness of your mechanical system. Units should be selected based on predicted ventilation requirements (a function of occupancy and heat loads) and then size. The unit should be selected for high thermal exchanger efficiency. A good unit will have a sensible (related to temperature) heat exchange efficiency of greater than 80% (it can be up to 93%). However, a reasonable efficiency could be around 75% and such units will typically be more affordable. Electrical efficiency should also be considered (energy consumption per m3 air delivery—less than 0.45 Wh/m³ is excellent). Controls can be as complex or simple as desired. Most would operate sufficiently with three simple settings (low, standard and ‘boost’/high), catering for times of low occupancy, standard operation and when extra exhaust is required (e.g. during parties or to eliminate cooking odours). While not a typical product offering for local air conditioning suppliers, some suppliers have MVHR units available as overseas models or for large-scale projects. For example, Mitsubishi and Stiebel Eltron have a presence in Australia for various domestic product offerings, but their MVHR units have not been locally marketed due to low demand. Local design expertise may also require international support. Air Design offers large units, typically used in community, education or commercial buildings. Long-term studies of the use of MVHR systems in Europe have raised a small number of potential issues, which can generally be managed with good design. Systems should be carefully designed and installed to ensure they work effectively for a specific house; for example, the question of noise from the system should be addressed in the design. This may be an issue if local expertise is lacking. Users should be given information on how to operate the system and the conditions under which optimal operation is achieved. It’s also important to set up maintenance schedules. Ideally, systems should be monitored across one full year and serviced and recalibrated 12 months after installation to help ensure that the system is operating as efficiently as possible. Occupant education is key. Where issues have been noted in studies, they generally related to adapting to a new system or incorrect operation; satisfaction increased over time as occupants became used to MVHR in their homes. Clare Parry is a senior sustainability consultant at Umow Lai, and founding chair of the Australian Passive House Association. She is currently experiencing the trials and tribulations of a Passivhaus retrofit on her own home. Note: There are alternative solutions on the market that recover heat or coolth from outside the building (e.g. from the roof cavity) and circulate it into the home. They work on the principle that the home is not well sealed, and they are less effective than the systems described in this article. This article was first published in Renew 127 (April-June 2014). Renew 127 has ‘keeping warm’ as its focus. Issue 133 features ‘Up to standard’, an article about a certified passive house. 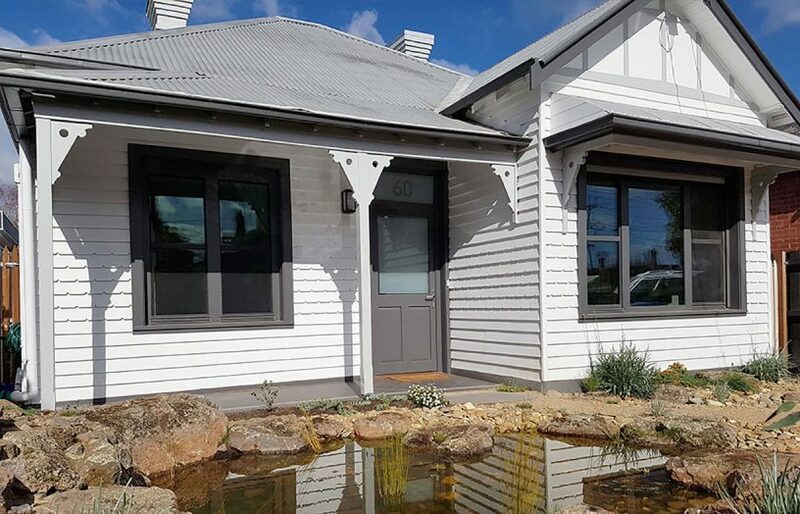 There's a lot to learn from this highly insulated and well-sealed renovation in Melbourne, not least how a heat pump is providing both hydronic heating and hot water. Cameron Munro explains the house's modelling-led upgrades and the tweaks made along the way. After conducting home energy assessments for several years, Richard Keech shares some of the all-too-common problems he sees. Poorly performing windows can drag down the thermal performance of your home. Lance Turner looks at some solutions. Find out how to stop draughts and keep your house warm this winter.